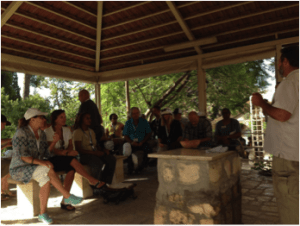 Blessing Israeli Believers Two New Programs! Three times this year I have been to a place Messiah Jesus took His disciples in Northern Israel called Caesarea Philippi. Our Lord Jesus gave me a two part teaching series there called The Son of God Who Is The Son of Man. Like His message to the disciples then HIS message is just as relevant and powerful for us right now! 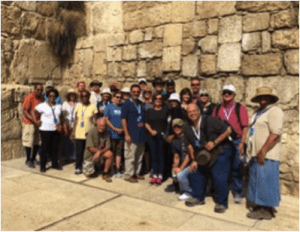 Blessing Israeli Believers Feast of Tabernacles Tour 2016! So many were blessed as heaven came down over us on our special Israel Tour! The love of our great King Messiah Jesus showered us all along the way. He truly is Emmanuel "God With Us". 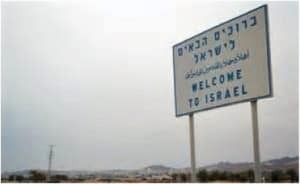 We travelled across His land from the Dead Sea to Beersheba, to Jerusalem, the Galilee, Mt Carmel, and Joppa/Tel Aviv. We sang, some danced, heard His word, celebrated, and thankfully even rested a little. This time of year is so rich and full of the glory of our Lord Yeshua (Jesus) and it is worth whatever it takes to come to Israel at this special season. Before moving to Israel, I made sure to visit during Succot (Booths/Tabernacles) whenever I possibly could. I am planning on meeting with the tour company and our guide soon to schedule dates for next year. I encourage everyone reading this letter to prayerfully consider coming next year-LORD willing! !שלום During Succot (Feast of Booths), the greeting is Moadim b'simcha - מועדיםבשמחה (Joy in this season). Succot is a time of worship and joy for the people of Israel according to the Bible (Leviticus 23: 33-44 & Deuteronomy 16:13- 15). 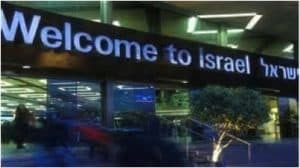 It is a time when the people of Israel were instructed to leave the comforts of home and dwell in a booth. It wasn't supposed to be a nice comfortable tent. But rather a rustic shack like farmers had in the middle of fields and orchards to get some shelter while working with crops or livestock. There is another aspect of Succot that the prophets develop in Scripture. 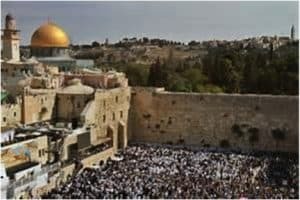 This is in the future during the days of Messiah's rule when the nations of the world would come to Jerusalem to celebrate the festival together with Israel (Zechariah 14:16-17). Many of us in Israel have already begun the joy of celebrating the festival of Succot with the nations. 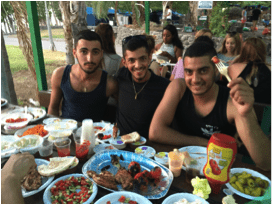 Here in Western Galilee, believers, Jews and Arabs, join together to worship the Lord at Succot. At our home in Nahariyya, Jeannie and I have enjoyed wonderful fellowship with other believers from surrounding villages and this year was no exception. 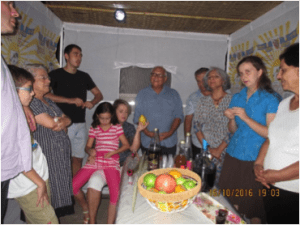 We had 32 people crammed into our Succah (booth) and this included two Arab families. We had 12 children from the different families enjoying the cakes and festivities. This season with all the holidays (Rosh Hashanna, Yom Kippur and Succot) was full of opportunities to meet with people in a relaxed atmosphere to share the good news of Yeshua. There have been opportunities to share with family member (ours and friends) at the end of Yom Kippur during the dinner we hosted. Also, as I was out hiking on the Israel Trail people were friendlier and more open to inquiry about the Gospel. God is moving in incredible ways in the past few weeks, and we have some exciting news and a new project as well! First, we've been crying out for God to reveal His love and His power to His people in Israel through healings and miracles, and we've just started seeing a huge increase in that over the past two weeks. The past two times that we went out to the streets to share the Gospel, we saw at least 15 people healed instantly and completely and several others dramatically improve. Two people had legs that were different lengths, and the legs grew out in front of our eyes as we prayed for them in Yeshua's name! One man was healed of back pain caused by this for 10 years. What a good God we serve! The people who were healed and many others around them were very open to hearing the Gospel afterwards! One lady whose badly hurting knee was instantly healed, once we started sharing the Gospel, objected, "But I don't really believe in God. I only believe in what I see." I responded, "So how do you explain that Yeshua whom you don't see right now just healed your knee?" She was speechless. What could have turned into a long philosophical argument was cut short because the power and reality of God had already been revealed. 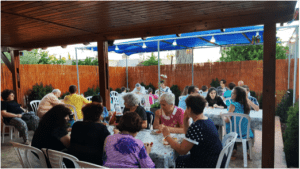 We've been working with our congregation on launching a new project called "Loving Haifa Unconditionally" to reach out with God's love through servant evangelism. Our first event will be at this festival, where we'll be giving out hot apple cider (non-alcoholic) for free. When people ask, "Why are you giving this for free?" we can say, "Because God loved us unconditionally..." and, Lord-willing, share more about God's love and the Gospel. We'll also be wearing T-shirts directing people to a newly created Hebrew evangelistic website. Update: The Sukkot outreach went amazingly well and we have some great testimonies to share very soon. Thank you so much for your prayers and support! You are truly playing an important role in what God is doing in Israel today, and we're so grateful for you! The Fall Feasts Are Here! What a special month is upon us! The Fall Feasts are here! 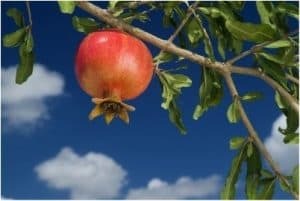 Often times the Feasts are divided up during the months of September and October but this year they are all in October-Yom Teruah (traditionally called Rosh HaShanah), Yom Kippur (Day of Atonement), and Succot (Booths or Tabernacles). Also, these Feasts collectively are called the "Feast of Tabernacles". These Holy Days fulfill the prophetic cycle of the Feasts or Festivals as they are a picture, type, and shadow of Messiah Yeshua (Jesus) and His prophetic work of redemption! Passover shadowed the Passover Lamb of God, Messiah Jesus. Unleavened Bread shadowed His sinlessness and righteousness. First fruits-His resurrection, and Pentecost the baptism and filling of the Holy Spirit-the birth of the one new man in Messiah Jesus! These have been fulfilled, but the Fall Feasts point to that which we watch for--the unfolding fulfillment of the prophetic scenarios that are upon us at any moment! 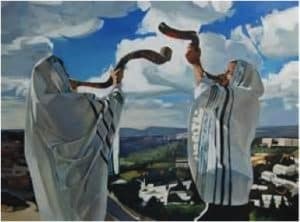 Yom Teruah is the Day of Blowing Trumpets! Paul told us in 1 Thessalonians 4 and 1 Corinthians 15 of the trump of the Lord which points to the ''catching away' or 'rapture' of the New Covenant saints. Yom Kippur or Day of Atonement points to the glorious day when according to Zechariah 12:10 all of Israel that survives the tribulation will be saved upon the return of Messiah Jesus to sit on the throne of David-this is when all of Israel will be saved-Romans 11:25. Israel will be cleansed of their sin when they see Messiah Yeshua-Hallelujah! Succot-literally "Booths" and also referred to as "Tabernacles" reminds us today of the faithfulness of the LORD to keep Israel in temporary dwellings through the wilderness on their way to the Promised Land. Yet today for His New Covenant people we also see this same faithfulness as we are living in temporary dwellings---these frail and corrupted by sin bodies causing this wilderness creation to travail in sin. When our Lord Jesus returns to sit on the throne of David our New Covenant bodies will no longer have sin! Then our King Messiah Jesus will tabernacle or dwell with us forever and ever! These Feasts are mentioned in Leviticus 23. An interesting quote from Rabbi Michael Zeitler's book "Why Is Israel Supernatural?" should especially interest our American friends: "The famous Thanksgiving dinner that the pilgrims shared with the natives was actually a Feast of Tabernacles, or Succoth, that was held on October 6, 1621-not in the month of November. The Pilgrims celebrated all the Feasts of Israel!" 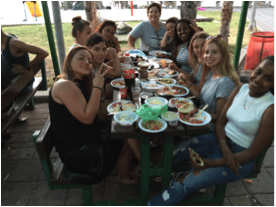 Our first BIB Israel Tour is during this special season and during Succot, which is the most crowded time of the year in Israel. Religious Jews from all over the world come according to the Old Testament and Rabbinical Judaism for this season in Israel. Many thousands of Zionist Born Again Christians also come from all over the world for what I like to call "The biggest Jesus party on earth!" It is such a good time!!! BIB's Co-Founders John McTernan and myself Dov Schwarz will be leading this tour and there will be twenty-eight of us celebrating King Jesus in Zion! This is our second year to celebrate the Fall Feasts as "New Olim"-Immigrants to our homeland. Amongst many trials, that are too many to name in this letter, there have been many more blessings, too many to count, and more than abundant grace that holds and keeps us here. A special thank you to our many friends, brothers and sisters in Messiah Yeshua, and supporters for whom we are extremely grateful to Messiah Jesus! May our Savior richly bless you during this special time of the year and may we remember to lift up our heads knowing that our redemption draws near! Please be inspired and encouraged with updates from our partners in the land. It was a blessing to gather together to celebrate the Feast of Shavuot (Booths) for the first time in our newly completed outdoor fellowship area. Our gazebo project is finally completed with lighting, as well as fully landscaped, thank you CC Rocky Mountain. We are pleased that God brought non- believers to join us as we had prayed and envisioned to share the love of Messiah, and His word. Presently we are moving cabinets to enlarge our fellowship area and give us more storage in our kitchen. Please pray that God will give us the ability to complete this and all our projects as we personally do all the labor required to keep costs to a minimal. The Fellowship itself is doing well with numerous people functioning, which is causing growth of the whole body. As we continue to speak the truth in love people will grow in all things in Him. Please keep us in your thoughts and prayers and may our LORD's face continue to shine upon you. 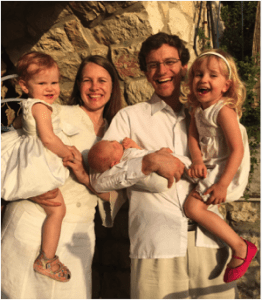 Through your generous gifts we were able to assist a young Israeli family returning to Israel after studying at a Bible College abroad. Upon their return they secured employment but lacked the funds to pay their first months rent. They have asked us to convey their thankfulness for you standing in the gap on their behalf. About a year ago, God started stirring our hearts to seek Him more for divine healing here in Israel. I've been intensely studying the hundreds of Scriptures related to healing, reading several books about it, and watching dozens of testimonies of people healed and of those being used by God to heal others on the streets. By God's grace, during that time we've seen and heard of several healings, especially through ministries of the congregation. But we've also been praying intensely for Yeshua to use us and others to heal people on the streets just like He and His first disciples did. 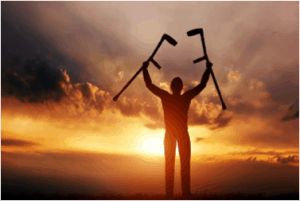 Then, a couple of months ago, I had a dream that I would pray for someone with a crutch and a significant problem in their leg, that Yeshua would heal them, and it would be a breakthrough in this area. Since then, if I saw anyone with a crutch, they had to hear the Gospel and be prayed for in Yeshua's name! 🙂 Praise God that quite a few people heard the Gospel as a result of this, but I hadn't seen any immediate healings...until a few days ago. I was on a bus and felt the Holy Spirit leading me to sit next to an older lady and only afterwards noticed she had a crutch. I started a friendly conversation with Sophie, then shared my testimony about how I had crutches after my Achilles heel was torn and was supposed to take months or even years to heal, but after someone prayed for me in Yeshua's name, it was healed and I could instantly run again. So I offered to pray for her, and she said, "But Yeshua can't heal what I have. The bones in my knee are broken and I have other serious problems, and I already had a surgery that failed and now I have to replace my whole knee." 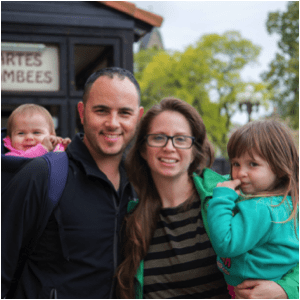 I explained that Yeshua has healed things that were even worse than that, but then she said, "But people from Chabad [an Orthodox Jewish movement] and many other places have already prayed for me, and nothing worked." I asked her if anyone prayed for her in Yeshua's name, and she said they hadn't. So I said, "So can I pray for you now?" And she agreed. I asked her if she had pain at that moment, and she said that it was hurting badly right then. Then I prayed in Yeshua's name, and immediately asked her, "Now how do you feel?" She looked at me with total shock in her eyes and said, "Maybe it's just psychological, but I don't feel pain!" I told her, "It's not psychological - Yeshua really heals! Please pray with us for more healings and miracles in Yeshua's name! On June 12th 2014 three teenage Jewish boys were kidnapped and murdered in the city of Hebron. During this time there were constant missile attacks on the residents of the South of Israel, and as a result of our IDF forces searching for these three young men, many underground tunnel systems were found leading from Gaza to within Israel's border. Our government and IDF forces went on full alert to try and stop the barrage of rockets. Over 75,000 reservists were called up for duty. 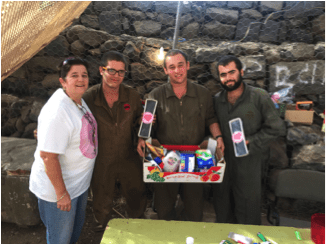 It was during this time frame of "Operation Protective Edge" that Ima's Goodies was started as we wanted to do our part as well. We thought it was so important for the soldiers to know that believers living here in the land as well as Christians from around the world love and support them. So I picked up my mixing bowl and my supplies and went to work. Ima's Goodies was founded by Renee Shmuel. Its mission is to lift the soldier's spirits and meet the evolving needs of our Active Duty and Reserve soldiers. 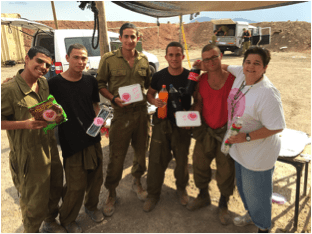 In July of 2014, she came up with the brilliant idea of bringing snacks to Israeli soldiers who were fighting around the clock to defend their nation. As you may realize, soldiers are not treated well in the food department. 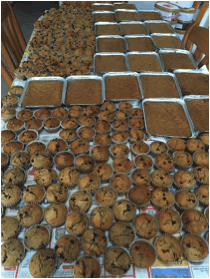 She took her own initiative and began baking cakes and other delicious sweets for IDF troops, to whom she personally delivered on a weekly basis. She appreciates all the support she can get: financial, emotional, physical and prayer. She started this organization with the goal of showing the Israel Defense Force that many people, including non-Israeli, non-Jewish people support the nation of Israel. Our mission is to show the soldiers of the Israel Defense Force that we are true Christians and Jews that support, love and pray for them. We are a group made up of many different cultures, peoples of all races, ethnicities and ideals, but united in our love for Israel. explain who we are and what we doing here, sometimes it's in the middle of no-where. It's hard to believe that there could be places like this in our small country. I imagine the young man at the front gate on duty wonders how I managed to get there, but after I assure them that I came looking just for them, they are excited to see what kind of 'goodies" we have for them. They are always surprised that we would show up and pass off some 'lovin-from-the-oven' to them. Thank You for giving and helping us with this to support our soldiers. BAKING: We bake all of our cakes in my little kitchen at my home, some days working from early morning to late at night trying to get as many as 60 cakes baked during one day. We then wrap them up with lots of love and eagerly I await to see who all I will meet in my next outing. In the wintertime the soldiers like when I bake the cakes in the little metal pans, so they can put them on top of their radiator heaters and warm them up before eating, You might ask what is their favorite cake? Banana Chocolate Chip Cake. I even have had a few wanting the recipe, maybe some day I'll post it. It's actually quite easy, just load it up with Chocolate, Banana's and LOVE. RANK of COMMANDER...I have NO IDEA of all the ranks in this army. I never know if I am speaking to a foot soldier or a commander. One time this young man at the front gate, when I asked him to call the commander to ask permission to pass out goodies to the guys. He looked at me and then looked at his shoulder where his rank was posted. "AM YISRAEL CHAI~The NATION of ISRAEL LIVES"
For more information visit our website and sign-up!